Leaky Gut Foods to Avoid: 5 Foods to Remove from Your Diet Today! You can heal an inflamed, leaky gut by making simple changes to your diet. By avoiding gut-damaging foods, you can let your intestinal mucosa heal. 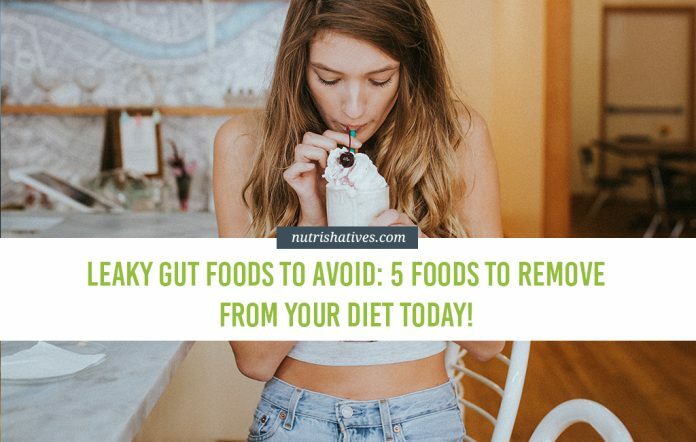 Now that you already know why gut health is important, it’s time you find out what leaky gut foods to avoid. Leaky gut syndrome is a condition involving damage to the delicate intestinal lining, also known as the mucosa. In a healthy, non-inflamed state, the intestinal mucosa performs two primary functions. It facilitates the absorption of nutrients from the intestines into the bloodstream. It acts as a barrier to stop potentially harmful bacteria and molecules from entering your body. If your gut mucosa becomes damaged, however, both the absorption and barrier function suffer and this can lead to a number of health concerns. These can range from simple digestive symptoms (bloating, constipation and diarrhea) to more serious immune-mediated diseases, such as multiple sclerosis. One of the biggest possible sources of damage to your delicate gut lining is your diet. Makes sense, right? Your diet is sending food, beverages and all the molecules and chemicals they contain, right into contact with your intestinal wall! Here are the 5 most gut-damaging foods to ditch from your diet if you want to cure, or prevent, a leaky gut! Foods are generally processed in order to either extend their shelf-life or alter their taste, texture or appearance. Industrial processing typically involves the use of chemical additives such as preservatives, colorings, artificial sweeteners and bulking agents. 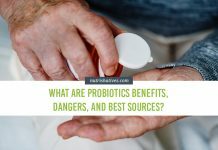 While many of these compounds are harmless, there’s research suggesting that some may wreak havoc on the intestinal mucosa and microbiota. 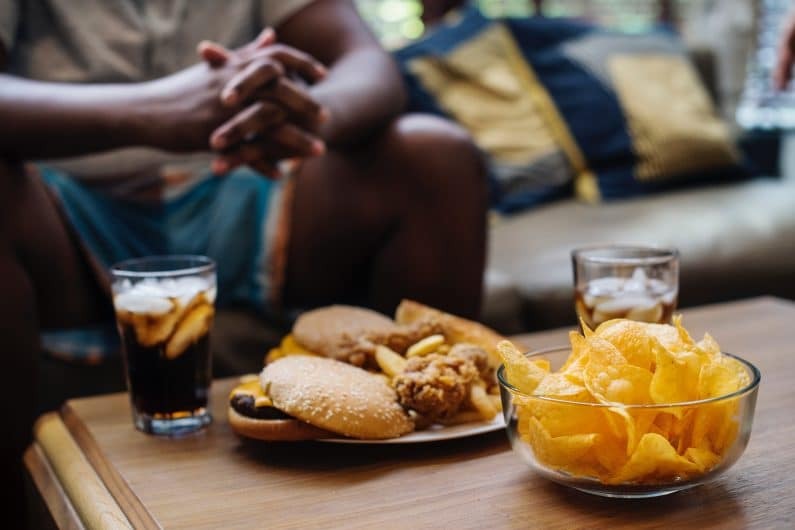 Chemicals added to keep fats from clumping together, known as emulsifiers, may be able to disrupt the healthy mucus secretions found in your intestines that lubricate and protect the gut. As a result, the intestinal lining may become inflamed, increasing permeability (i.e. leakiness). Finally, thermal processing of foods, like when meat is cooked and browned, creates advanced glycation end products (AGEs) that can negatively affect the inflammatory response in tissues. Fried foods are loaded with saturated fats. Unlike healthy fats, saturated fats can have major impacts on your gut microbiota, promoting intestinal inflammation and a leaky gut. Scientists have observed that mice fed diets high in saturated fats experience a complete shift in the type of bacteria present in their intestines. In a study investigating the microbiome of mice fed a diet high in lard, researchers found significantly more pro-inflammatory sulfidogenic bacteria than in mice fed a low-fat diet. Researchers suspect that these bacteria are able to increase intestinal inflammation and permeability by directly altering components of the intestinal barrier. Importantly, new data suggests these results are likely applicable to humans, as well. Opt for grilled or broiled foods, rather than deep-fried foods, whenever you can to help minimize your intake of saturated fats. 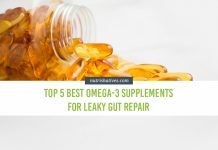 Convinced that you have a leaky gut? 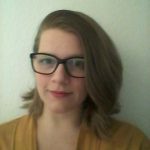 Learn How to Heal Your Leaky Gut Syndrome now! You’re certainly aware that overconsuming alcohol is unhealthy. It’s positively famous for being bad for your liver, heart, and brain! But did you know that excessive alcohol intake may be an important culprit when it comes to intestinal inflammation and leaky gut syndrome, as well? The reason for this is two-fold: alcohol consumption alters and disrupts the intestinal microbiota and increases gut permeability. In general, it appears that alcohol consumption encourages the growth of Gram-negative bacteria. This type of bacteria plays a role in increasing the levels of two compounds (endotoxin and acetaldehyde). These chemicals cause direct harm to your intestinal wall. Cutting back on beer, wine and spirits could have major benefits for your intestinal health. This may be especially true if you have food sensitivities like the ones I explore below. Lactose and casein — a carbohydrate and a protein found in cow’s milk — are generally at the root of dairy intolerances. In dairy-intolerant individuals, the consumption of cow’s milk leads to gastrointestinal symptoms like bloating, flatulence and diarrhea. This causes mucosal irritation and inflammation, which poses a risk for the development of leaky gut syndrome. If dairy products like milk, cheese or yogurt don’t sit well with you, give them a miss. Try replacing them with dairy alternatives to lower your risk of developing leaky gut syndrome. Learn The Truth About Dairy: Is Milk Bad for You? Only a small percentage of the world’s population (about 1%) suffers from celiac disease (CD). Celiac disease is an autoimmune disorder that leaves the intestinal lining easily damaged by the wheat protein, gluten. However, there is growing evidence to suggest that many more people worldwide suffer from non-celiac gluten sensitivity (NCGS). This is a milder disorder involving poor gluten digestion. In gluten-intolerant individuals suffering from either CD or NCGS, eating gluten-containing foods can cause serious pain and discomfort. Partially digested gluten can harm the intestinal barrier as well as the gut microbiota, resulting in severe mucosal inflammation and leaky gut syndrome. Avoiding wheat products such as bread and pasta may alleviate symptoms associated with the leaky gut syndrome in some individuals. The most gut-damaging foods are: processed foods, fried foods, alcohol, milk products, and gluten-containing foods. It’s important to note that reducing intestinal inflammation also has benefits that reach far beyond the digestive system. Making small, manageable changes to your diet and improving gut health can have a lasting impact on your immune system, your heart health, and even your emotional well-being. There is considerable evidence that shows why gut health is important. A friend or loved one may benefit from the information contained in this article. If you found this helpful, please share it on Facebook, Twitter or Instagram! 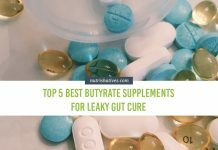 Next articleLeaky Gut Symptoms: How Do You Know If You Have a Leaky Gut?